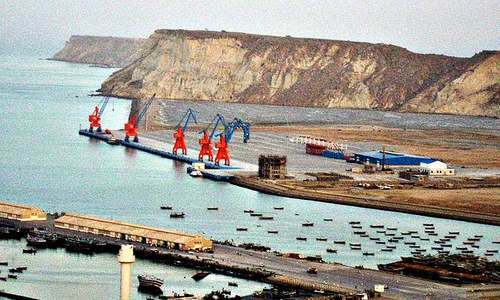 QUETTA: Chinese investors need to spell out how exactly Pakistan will benefit from the China-Pakistan Economic Corridor (CPEC), said political and military leaders at a seminar on Monday. They also stressed that the CPEC should not be politicised or made controversial. The matter was taken up on the second day of a seminar on peace and prosperity in Balochistan organised by the non-governmental orga­ni­sation, Devote Baloch­is­tan, and the University of Balochistan in cooperation with the provincial government. Participants claimed that CPEC would be a game-changer for the country and would play an important role in the development of the province and Pakistan. They said law and order in the province had improved but more efforts should be made to ensure that this improvement was permanent. Peace, they said, would create an investment-friendly environment in the province. The seminar was attended by the Chief Minister of Balochistan, Nawab Sanaullah Zehri, federal ministers retired Gen Abdul Qadir Baloch and Jam Kamal Khan, Commander Southern Command Lt Gen Aamir Riaz, Pakistan Tehreek-i-Insaf’s Shafqat Mehmood and Sardar Yar Muhammad Rind, vice chancellors of the country’s leading universities, journalists and writers. Chief of Army Staff Gen Raheel Sharif, Governor Muhammad Khan Achakzai, Senator Mushahid Hussain Syed and former chief minister Dr Malik Baloch are expected to attend the seminar on Tuesday. Chief Minister Zehri said the country’s future was linked to a developed and prosperous Balochistan. He offered to hold a dialogue with Baloch leaders living abroad. “They should return to Pakistan and join mainstream politics to serve the interest of their people,” he said, adding that his government was ready to resolve all issues. Talking about the CPEC, the chief minister said the people of the country would benefit massively from the project. According to Lt Gen Riaz, it is important to forget mistakes of the past for the country’s prosperity and development. 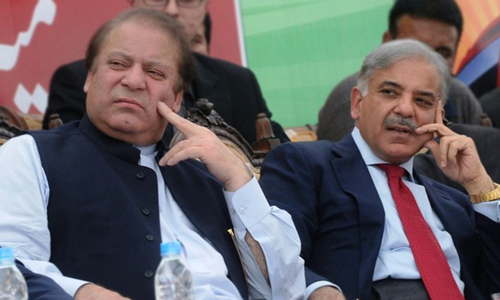 He said the Balochistan issue was complicated but “we have to resolve it by sitting together”. “The issues and problems of Balochistan can be resolved by adopting a positive approach and mutual understanding,” he said. The ‘P’ in CPEC: Pakistan or Punjab? Chinese companies need to explain how the CPEC will benefit China. The more investment Pakistanis make, the more money Pakistanis will make. No investment. No expectations. 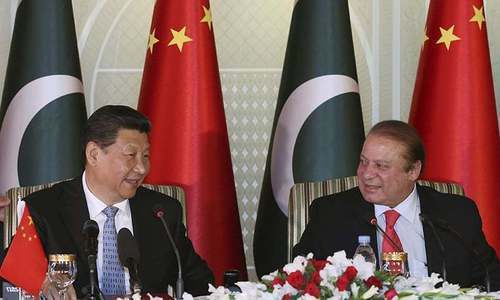 China puts up the money and Pakistan cashes in? Better to think in terms of what Pakistan can export to China. Pakistan companies need to explain how the CPEC will benefit Pakistan. so a high way, rail way, gas stations, hotels, more trucks drivers, more environmental degradation, but no manufacturing at all. better than nothing. 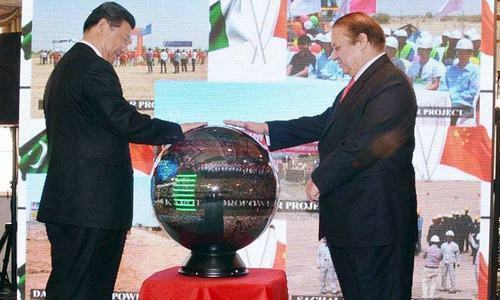 Pakistan will become the next province of China!!!. At least someone is questioning them!!. "Imagine" Pakistan under Chinese rule!!!. Gansu, Tibet, Xinjiang, Henan & Yunnan region in China will be "Child's Play" when compared to Pakistan!!. It is unfortunate that some political parties are making the project controversial just for their own personal gain. Selfish ppl. Baloch people were never taken into confidence over CPEC. China is threat to our sovereignty, we should rather have business with Iran, Afghanistan and India. Good thinking. We should see what is benefit to Pakistan not for the Chinese companies. It should be transparent and second thought in it. All the sub contracts needs to be given to local companies who is paying taxes. No one will invest without profits but it should be more beneficial to Pakistani people not for completely investor. If we are not transparent in this kind of project then we wont able to pay the loan back. Yes, there is a lot being said without explaining how and when. I just can't figure out that when a road connection is established between Kashgar and Gawadar, what commodities would be transported downwards to Gawader on this link. I can understand oil going up stream, but looking at Xinjiang, Qinghai and other near by regions spread over an area 17 times Balochistan, there is no industry and very little population. So there is no exportable product in the region for now at least. I also can't see China moving her industry to the western areas because there is little population and very little skilled labor. So what is the agenda? Is the main purpose related to Chinese security or is there any real game changing economics in it? Are they going to setup industry in Pakistan? Please some one needs to explain. What other significant infrastructure does Pakistan have? Last time Railways and bridges were built by the British Rule. Why question Chinese sincerity ? Project like these should be initiated by Pakistani politicians and champions of democracy with explanation of how their proposed projects would help improve Pakistan's GDP. NO need for our Chinese friends, this is our leaders problem, they failed to do justice with the people of Pakistan, Big Brother gave most of the projects to younger brother and other 3 provinces will just get the tail. I wonder why are we so doubtful about how CPEC will Pakistan . China is investing $46 Billion in Pakistan and plans to develop a very massive infrastructure here consisting of roads, railway lines, fiber optics , dry ports etc etc . And we have to ask how it will benefit Pakistan ? The question that needs to be asked from writers like this one is that how they are benefiting Pakistan by making a project like CPEC controversial ? Or are the benefits of writing such poisonous pieces of a much more "personal" nature ? Why should a business explain, our government should do it. No one is discussing this issue seriously and giving China a free hand to eat our resources and use us as a route. I am so sorry to see our politicians selling our country and resources so cheaply. This is bizzare!! They are investing in Pakistan for mutual benefit. More of their benefits rather than Pakistan's benefit. Its Pak Govts.responsibility to spread the awareness! What !! Why Chinese companies need to explain benefits. U people given the contract to these companies, u should know how beneficial it for your countries. seriously i pitty on the fate of Baluchistan and pakistan for its leaders asking this question. They simply dont have the wisdom and witt to visualize this project. i can pin down the benefits here. CHINA will transfer $1Trillion trade through CPEC otherwise its not worth it. if we are doing trade of $1Trillion than that means we are talking about 25,000 Container vehicles on the roads of pakistan at any given amount of time. imagine the amount collected from this traffic in the context of transit fees, imagine the amount of money these vehicles will spend on their stopovers, re-fuelling, foods and maintenance and. along with this there will be train carrying the stuff and Pakistan would need 5 international airports along the route only to handle the CPEC and we are talking about at least 25 Million Passengers using the air corridor annually thats more than the total passenger handled by karachi airport annually. this will add a whole different kind of Airport activity. What is there to explain? Other than China, no other country wants to invest in Pakistan. CPEC is a win-win agreement for both Pakistan and China. China may win more than Pakistan, but still Pakistan has some benefits in this. If Pakistan loses this opportunity, it would be beginning of downward trend of Pakistani economy. ‘Chinese companies need to explain how CPEC will benefit Pakistan’ would you care to explain this heading? because the article has used clichés like "game changer" and various speakers have acknowledged that it will bring development, prosperity and security to Baluchistan and Pakistan. It is clear from reading the article that instead of the Chinese, Pakistanis are touting the benefits of CPEC-and that is the way it should be. The responsibility of explaining the benefits of a given venture lie with the takers and not the givers-and in this case it is the people and government of Pakistan. However, prosperity and development cannot be achieved by forgetting the mistakes of the past, as one of the speakers put it erroneously - you do not forget, you learn from your mistakes. What is the interest rate? Why should Pakistan pay for a project that clearly have high value for China? If the project does not materialize who carries the burden of losses? Will China carry its own workers or will it spur local employment? If the project gets delayed how much cost will it increase? Have you at least worked out the break-even point and break-even period? Why would business from middle east come to Gwadar when there are already 3 competing ports nearby - Chabahar, Karachi and Mumbai? Chabahar is already deep sea port. $47 bn spread over 20-25 years with a lot of uncertainty - surely doesn't look promising. As Umair suggested above if the economic returns are through drivers stopping for cigarettes and chai on the highway - then you have seriously miscalculated the economic viability. I know the usual response will be - you are jealous, worry about your own country. I do not understand that how a $46 Billion worth investment can not benefit Pakistan. If by "benefit" , we Pakistanis mean "where is my 'cut' in this" then yes, we aren't "benefiting " too much because the Chinese know better than to trust Pakistanis with too much money , and rightly so. The best way to make CPEC is to let China handle the bulk of it. Otherwise , we would send it the way Kalabagh went. Needless to say, our Indian friends would be delighted if CPEC is delivered the same fatal blow we dealt to Kalabagh Dam. I should keep my opinions to myself. While CPEC is very good for China to transport its goods to middle eastern countries in a fast and economical way, it may be good for some big business for new opportunities. It may also raise value of properties for some rich people by making CPEC go through twist and turns, and back alleys in punjab and sind, compromising its efficiency. But I like to know as to how it will help improve life style, create job opportunities or put few more pannys in pockets of common pakistani citizens? (Wider gap between rich & poor?) Why no big factories, why no labour colonies at subsidized rated for workers, creating job opportunities for poor and unemploed. Why its all about rich and influentials? To me it looks like few big companies and few well connected people are going to be very very happy, laughing all the way to the bank. Well thats how things work in Pakistan, what else is new. It's a win-win for us. We will control the trade gateway to the west. @wasim NO manufacturing, no factories, no mass scale employement for Pakistanis? I like to know who negotiated the CPEC deal? Is it just roads, guards, cleaners, garbage collectors and hotel workers for Pakistan? If china develops it backward areas inwestern parts, manufactures finished goods and uses pakistani roadways and railways to export its goods economically to middle eastern countries, than how it'll hep general masses, citizens of Pakistan. There is some talk many rich and well connected businesses already making parnership and having big chuckles on prospects of getting rich quick schemes. Can some one explain what was negotiated for common pakistanis? Where is transparancy, where is accountability? Why Chinese companies, Pakistan government should explain this with facts and figures. Will our industrial production increase substantially? Will we be less dependent on the import of machinery(specially textile, leather, generators, mobile phones, automobile engines, locomotives for railways, roads and reservoirs construction machinery etc). Will our export be more than import and how much will be increase in revenue. Finally it will effect our foreign loans. Which products Chinese would export to other countries through CPEC and Pakistan can't be. Pakistan has formula but just need laboratories with nationalist laboratorian. Cut off nuclear pile and use the funds for roads,ports and schools. Well, Chinese are very shrewed and taking full advantage of Pakistan's total dependence on them. Only investment may not be enough until local people are empowered by giving them employment in the impoverished regions. China's decision to employ its own labour does not help Pakistan's cause. Pakistan should have put their terms and condtions before start of this mega project rather than be overhelmed by this offer. Now it is too late to alter the terms already agreed upon mutually but some concessions should be obtained from the Chinese citing local pressures which can only serve as the saving grace. Think your brother invested on your house construction, he wants to stay in one portion, will he give rent for it? Assume receiving 100000 Rent from the above said property on which your brother has invested 90% , in return what you will expect out of him Visa versa? China is investing in Pakistan only for quick oil transportation from gwadar to kashgar, so that they can sell oil in their country in low price compared to now, pakistan will only got roads, trucks, and oil tankers & nothing more, moreover China is using Pakistan's hostile government and security conditions to trap them in their net from fake promises & nothing more, whole world know China can't be a friend they just want to do business for their profit. The world over people have realized that Chinese only stand for themselves. Pakistan still needs to realize this. Maybe CPEC will bring this realization. What will come as import to Gawadar is known, it would be oil from Gulf area and other petrochemical products that China buyes, what will go through Gawadar is a big question. Why China will use this port to transport their products when no sizable industry is near by all the gients are functioning at the eastern part of China, and no industrial growth on the western side. Hence there will be neither export from China nor your country presently is industrially advance to utilise this corridore effectively to export goods or industrial products, So who is getting benefitted out of this CPEC is not at all question or should not be a point of discussion, when will your country gets benefits is a question. @Mohammed Hund Imagine the proportion of profit,which is important. No need to cancel CPEC. Just make some rules that favours Pakistan over China. Because at the end of the day, If Pakistani resources are going to be used,then you should make sure that Pakistan get reasonable benefits,both short term and long term benefits. ABC- Indian. CPEC appears to be the last throw of dice for Pakistan... In the minds of many atleast. Looks like many Pakistanis feel that CPEC will be the magic wand that will transform Pakistan. They are so taken up by the prospects of prosperity and don't want anyone to even discuss it as if, if it's discussed somehow the magic spell will be broken. We all know that if something is too good to be true.. It generally isn't. We saw in cricket that windies thought with Allan stamford money they will become financial powerhouse. China ofcourse wants access to port as it imports 90% of its oil and it all comes through malacca strait. China tried to do a pipeline from Myanmar to China.. That didn't work out. There is no shortcut or magic solution. Nations are built on hardwork and sweat..
"Chinese investors need to spell out how exactly Pakistan will benefit from the China-Pakistan Economic Corridor (CPEC), said political and military leaders....." Wow, did Pakistan decided to sign CPEC with China without thinking how CPEC will benefit this country? Why Chinese investors should explain these things, is our leadership (both military and political) fools or have they lost trust amongst masses and nobody will believe what they will say? So much for autonomy. China is investing $$ 46 billion on undeclared interest rate (8-18 % guessed) which is very high in international market. Most of the major projects was given to Chinese companies , all the engineer, hardware, equipment are from china . Even labourer are transported from china. Oil will be carried from gwadar to China and Chinese goods will be transported to middle East and Pakistan itself. Cheap Chinese goods will flood the Pakistan and local industries will be hit badly. If you cannt even give your labourer a work then its big mistake in method of implementation of cpec. Pakistan will collect tax from the transportation or not or how much they will charge for it is nowhere mentioned. I don't know what major benefits Pakistan will gain from this cpec , if ànyone knows then please summarize it. How does asking questions make CPEC controversial? Unless you have something to hide, questions should always be encouraged as that brings transparency. However, it is not the Chinese companies that should be asked the questions but the govt. of Pakistan who is negotiating the deal on behalf of Pakistan. Is it right question to ask , it does not make sense. this would definitely benefit Pakistan as long it handle with honestly and no under table kick backs. Work must be auctioned under competitive and transparent bidding. It would bring endless fruites for entire Pakistan. Why should the onus be on the Chinese to explain, ‘how CPEC will benefit Pakistan’? Caveat emptor "Let the buyer beware" applies. Shouldn't the Government of Pakistan and the Members of the Opposition too who are blindly following the pied piper theme be asked, "What's in it for Pakistan?" Very unfortunate! We are so blind that, we need Chinese to tell us which side of our bread is buttered ! Are you referring to India or to Pakistan? Looks like Nawaz government is not aware whether or not CPEC is of any benefit to Pakistan. That's why Chinese companies are being asked to explain benefits of the project. Height of foolishness. @Umair your analysis is exactly right and that is the problem. Pakistanis are getting peanut for the billions of dollars of benefit that China is going to get. Additionally they bring their own cheap labor as well. Don't sell yourselves so cheap. But a nation that can happily elect the most corrupt people to run their affairs, you can expect nothing from them. They should open trade with India, which makes more sense for them. Honestly by the time China is done with you, you will be eating rocks. It looks that the NS government has not done its homework. How very stupid of them. This is one question which must be answered before the government even starts the discussion. And it is not the Chinese but the Government of Pakistan. However, they are busy counting their commissions. Forget about Pakistan. Even once a person is buying fruit and is not observant he gets ripped off. Here we are talking of billions of dollars. Paragraph 1 states that "Chinese investors need to spell out how exactly Pakistan will benefit from the China-Pakistan Economic Corridor (CPEC), said political and military leaders at a seminar on Monday"
Paragraph 3 states that "Participants claimed that CPEC would be a game-changer for the country and would play an important role in the development of the province and Pakistan"
So! participants themselves not sure if how CPEC will benefit Pakistan but at the same time think that CPEC would be a game changer for Pakistan, gosh!! People dont question if Pakistan buys weapons and planes from America, even though Pakistan cannot afford it. Infact we Paksitanis get happy for delivery of F-16s and other weapons. But people question Chinese investment. Chinese investment is to benefit both nations. If project was a military project like buying non -affordable planes from America and France, people would be clapping their hands (tax payers money for buying weapons). But if it is a sensible civilian projects from China, everybody questions. Pakistan just deserves tailing behind America and its war on terror. no need for this project and improving human lives..Keep spending money on American weapons and on war on terror. CPEC interests more for China than Pakistan, shortest route to carry oil and gas. @Zak What is the logic and what is the data? In a market place there are many sellers of many items some items useful some not as much. A buyer will choose a product from which he ll gain or something that gratifies his need. Simple economics. 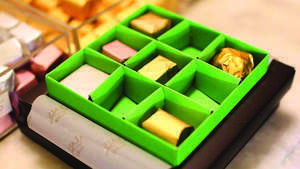 If a product was fantastic or reasonably well it would have attracted many buyers. But when only a certain buyer is buying from a certain seller inspite of better option then the intentions of the buyer is unclear. Why should a buyer buy/invest in a product not bought by many. "Chinese companies need to explain how CPEC will benefit Pakistan’" Excellent question. If not Chinese companies then Pakistan Government. @Shahid I think China will send products manufactured in Central region (Commodity) to exports to Middle East/ Africa region thus saving transit time. This is an addition to oil & security. What Pakistan will gain is anyone guess (the transit fees and some investment in power). The biggest question is whether Pakistan will be able to compete with the products coming from China even if the country gets power from the investment from China. Why Chinese companies need to explain the resin of their investment in Pak? We as a nation are anti national development but pro personal development, Alas! Are we ready to change our attitudes in favor of our country? CEPC is a bad deal for us. China stands to gain more than we do. The best policy for us is to deal with India, where it will be win win, but people running our Govt, cannot see the benefits of dealing with India, the giant next door. Instead we keep discussing old issues like Kashmir, and not looking to the future. how does it matter. China and pakistan are same . let any body be benefited. GDP growth of china is beneficial to pakistan as well. so who cares. India had long ago planned sea route to middle east and Afghanistan through chabahar port, previous sanctions on Iran stalled the process. India has to compete with china for business if CPEC becomes reality. So Pakistan definitely has win win situation by checking Indian growth. I am close to this. Many people think that China is building cpec for the oil. This is China. As with many things about China they say one thing and have another in mind. the real reason they are building cpec is to export their deflation and their gargantuan excess capacity. China is smart. Be like China. Iran has asked China to export oil and gas thorugh, Iran, Turkmenistan, Uzbekistan way as road and rail links already exists. Construction of CPEC will generate a lot of opportunities for Pakistan's Industry and economy. Construction of CPEC for generate not only demand for labor but also for cement, steel, coal (will be used for production of cement and steel) aluminum, and other advanced metals and materials. Now it is the duty Pakistani industrialists to come forward and grab this opportunity to revive the industrial sector of Pakistan. Why someone should be asking such a question after signing the agreement? Don't trust Chinese!! Their economy is falling!! They will squeeze Pakistan completely!!! 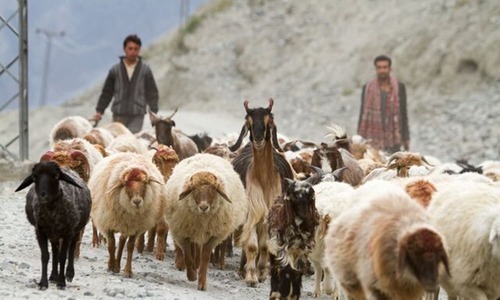 Biggest Benefit Gigit Baltistan will become a regular part of Pakistan. Don't put all your eggs in one basket. Think portfolio management by spreading the risk. With India's economy growing at over 7% and expected to do so for a while, it is in pakistan's interest to trade with India as well. Pak should be thinking when China is having a long border dispute with India, China is trading with India big time. Be pragmatic. Think globally act locally. @SB YOU - its not product alone China intend to cut cost of logistics to look after west china .... indians should not feel uncomfortable about it. The ignorance shown by Pakistani leadership is appalling. Pakistan should have first consulted with African leaders were Chinese setup business to understand how the Chinese think. Basically the Chinese culture is about taking everything for themselves; concept of giving to others doesn't exit. Pakistan will benefit very little from this. Its the govt. job to explain to the people how its in going to benefit the people not Chinese Companies. Chinese embassy doesn't give visas to the genuine visitors. I had got admission in Estonia and there was no Estonian embassy in Pakistan, so the option was to apply at Estonian Embassy in Beijing. Chinese embassy refused me that they don't issue visas like that. China thinks only of herself. Don't be foolish. Question everything, what, how, where and why in CPEC. We have a right to question. Just stay awake PAKISTAN! The moment, one question the very integrity of FDI and infrastructural assistance from a time-testing friend rather than devising realistic mechanism to gain and extract maximum benefits, development alongside its peeception starting to fade away, many argued. In increasingly globalized and interdependent world strong economy has become true prerogative in asserting one's grandeur character, so we must have a welcoming attitude towrds whatever a little amount of foreign investment we recieve. Amidst politicization, mutual suspicion and bureaucratic hurdles in CPEC, its hardly likely to make it game changer for us. It seems to be a puzzle for solution as how Chinese will help out to develop benefits for Pakistan as all agreements so mysterious and hidden which are likely to be known by only Sharif family members . @wasim Yes keep the environment clean and leave the area where CPEC going to pass in Baluchistan, KPK in Stone age. I believe you have no imagination about the economic/social benefits of CPEC. Why Chinese companies need to explain when they all are already saying that it will benefit Pakistan tremendously. If somebody need explanation then these same people should explain how it will benefit Pakistan. this project is very fruitful for balochistan .baloch should took maximum out of it and improve their political conditions. @CanadaKing That has been the case with China always. They are trying to get into Pakistan for their benefits. The Chinese are not investing $46B in Pakistan. They are loaning that money to Pakistan. We pay back the whole amount with interest. CPEC is good for all the towns through which it passes. Any investment in infrastructure cannot be bad. Best wishes from Indian. @Mohan Gajula Dear Raju , what I do not understand is that why you Indians are in so much agony over CPEC . Whether Pakistan benefits from CPEC or not is Pakistan's problem. What Indians need to explain is their obsession with CPEC . I perfectly understand Indians are still suffering from the utter humiliation they suffered in 1962 but let's move on , shall we ? @Cyrus That is the absolute point. @Rohit Sen Actually, no Pakistani feels that way. Pakistanis perceive CPEC as an something that would benefit Pakistan in the long run. It's the paranoid Indians that perceive CPEC to be something that would bring about overnight change in Pakistan and that's why they ( Indians) are constantly venting poison against CPEC. "Chinese investors need to spell out how exactly Pakistan will benefit from the China-Pakistan Economic Corridor (CPEC)" - this is national secret and know only to Nawaz Sheriff and Xinping. Pakistan people will know it fully when they start repaying the cost of these projects by heavy taxes. The road will be useful for China to import of OIL, Gas etc. from gulf countries. We have to close down many industries once Chinese cheap goods start entering Pakistan. Are the benefits of CPEC so fragile that merely asking the question would make them crumble into dust? And if they are truly a game-changer, shouldn't it be simple enough to explain them? You simply avoided the perfect question " WHY "
Simple.You must be blind the reality.China's main contention is encircle India & contain it. It is very obvious. Do you mean to say, what Chinese did is purely on humanitarian grounds. Very true " MAY BE "